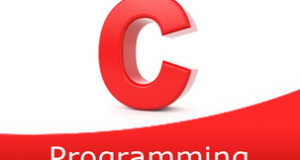 C program to calculate the volume of a sphere – In this particular article, we will brief in on the several ways to calculate the volume of a sphere in C programming. Check out the blog for the suitable examples and sample programs. The compiler has been added as well so that you can check the results yourself. As we all know, a sphere is a 3-dimensional figure made up of infinite points which are equidistant from a single point in the middle. That single point is regarded as the centre of the sphere. The distance between the surface of the sphere and the centre is regarded as the radius of the sphere. It is an essential component to calculate the volume of a sphere. As you can see, the radius of the sphere is denoted by r.
2)scanf(“%f”,&r) ,scanf function reads the r value, r will be stored into the variable “r”. 1)we are calling the function using volume(r). 2)The called function float volume(float r) will calculate the volume and return the value to v=volume(r). 3)v hold the return value. 1)We are calling the function by passing addresses using volume(&r,&v). 2)volume(float *r,float *v) having pointer variables r,v. This function calculates the volume of the sphere and the value will store into variable v.
3)Using printf statement v value will be displayed.